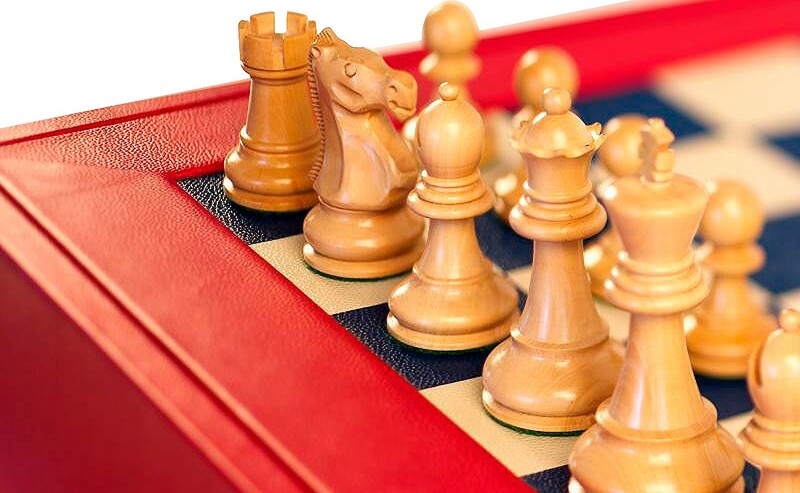 Hone the edge on your game with this scalloped chess set from legendary game craftsman Geoffrey Parker. Edition features a leather-gilded plinth, with scalloped siding. 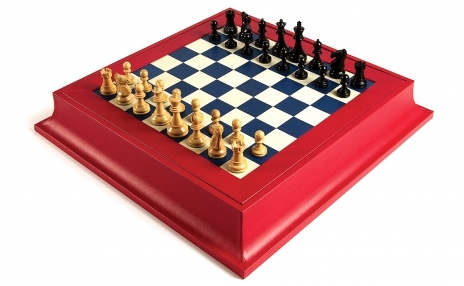 The chessboard is inlaid with your choice of Dauphin calfskin or supple watersnake, and the stunningly smooth playing surface pivots to reveal the covert, felt-lined compartment with suede trim, intended for chesspiece storage. Includes the coveted #57 Championship Staunton chesspiece set with a 102mm king height. Pieces available in ebony, rosewood, or boxwood. Set available in a variety of rich colors to match your mood. Pictured sample features cherry plinth and frame, with marine and magnolia checkers. 25" × 25" × 4"